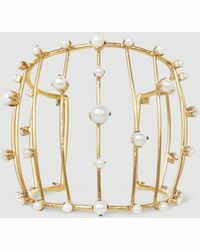 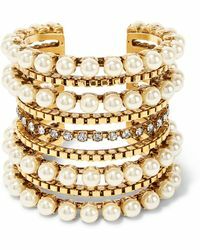 high-end jewelry designer Erikson Beamon has been a favorite with the fashion and film elite since the eighties, dazzling its avid audience with dramatic, embellished pieces. 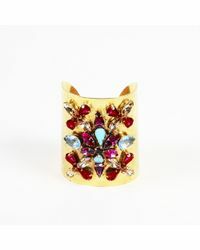 Hand crafted in the brand's Manhattan studio, this luxury label uses supreme materials including Swarovski crystals and plated gold for its decadent accessories. 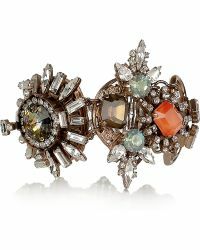 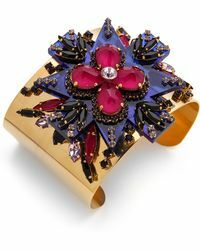 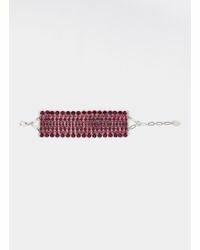 Colorful and highly textured, Erickson Beamon bracelets are the ultimate statement accessories. 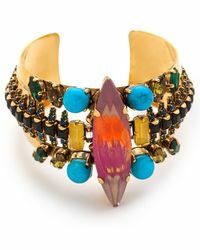 Wear with an otherwise monochrome outfit for an extreme pop of color.